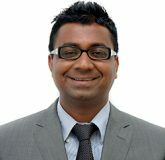 Mr. Krishnan Vaidyanathan has around 12 years of experience in US, Europe, Middle East and Asia. For the past 2 years, Krishnan has advised private equity backed portfolio companies in outsourcing, hospitality and agri sectors in West, Central and East Africa on growth strategy, marketing and operational improvement. Krishnan’s experience of sectors includes retail, consumer goods, mining, agriculture, hospitality, telecom and the public sector. Previous roles include engineering and product management roles at Nokia and strategy and M&A roles at Symbian.